We're taking another trip back to the lovely Museum Campus today to visit the Shedd Aquarium! It is a fabulous world class aquarium with lots going on. The biggest draw is probably the Aquatic Show. Not only are there dolphins but belugas and penguins make appearances as well. If you're lucky enough to get a front row seat sometimes you get up close and even personal with the penguins! If you're able to get there during the holidays be sure to check out the special A Holiday Fantasea. There is so much more to the Shedd than people realize though! It takes you through the world's waters to visit the Amazon, the Caribbean, and so many others, you can even go under the water and visit the Wild Reef. My favorite part is getting to see the itty bitty frogs. There are some probably about the size a dime! It's amazing how small and colorful they are. 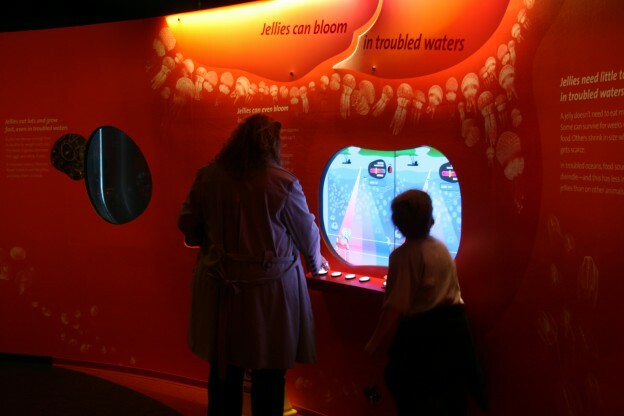 The special exhibit Jellies is still around as well. I'm not going to lie I wasn't all that impressed. We did go pretty early in the exhibit and it was quite difficult getting close enough to see much. It was also static in my opinion, it was a porthole with jelly fish then another, then another. I didn't find the exhibit very interesting after looking at the first couple of jellyfish. There is also a new 4-D experience, featuring right now Ice Age: A Mammoth Christmas 4-D. I actually have not experienced the theater so I can't give my opinion one way or another. Although I do really enjoy the Ice Age movies. So I would probably check it out if I was there haha. They do have other experiences that run year round as well, Dora & Diego's 4-D Adventure and Planet Earth. I really enjoy the Shedd but I don't think it's an absolute must see when you come to Chicago. Maybe your second or third trip. I feel that what you can see there (besides the killer architecture) you can see other places. Also I am not a huge fan of the ticket pricing either. Basic admission is great $8 per adult but that doesn't include any of the special things like the Aquatic show, the Wild Reef or some of the kids areas. The tickets then range from $28-$50 depending on if you buy them online day of, before or at the Shedd, it's actually a bit confusing! There are different kinds of discounts that you can receive throughout the year so if you are interested be sure to do your homework first! Hope this doesn't copy twice but I tried commenting earlier and it didnt work! Anyways, I found your blog from the sidebar of ...Not so Ordinary Wife... page! I'm her newest sponsor and wanted to make new bloggy buddies so figured I would start with her sponsors first. haha. 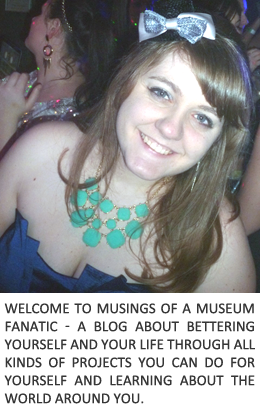 I have to say, it's super neat that you have a fascination for museums! Do you travel to visit them? or do you visit as you come across? excited to be following along now!